Dr Bronner’s Magic Soaps are well known for the purity of the organically produced volatile oils that power their robust fragrances, and the sheer common-sense economy in every container. They’ve been a favourite feature of ours for years, and we’ve been adding Dr Bronner’s Fresh-Pressed Virgin Coconut Oil to the feature mix. 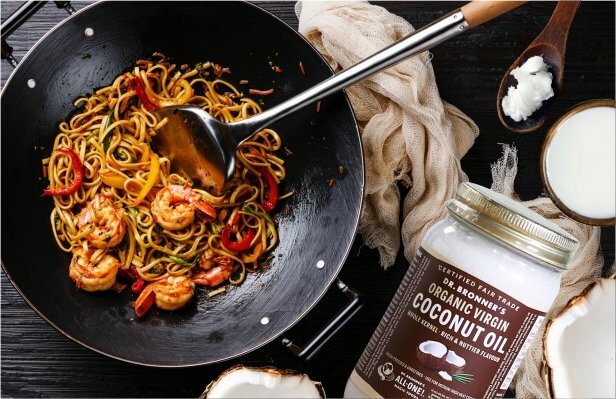 Expeller-pressed from fresh, carefully prepared certified organic coconut kernels, this superior coconut oil is versatile and healthful, with a delicious aroma. We’re featuring Dr. Bronner’s Original Organic Whole Kernel and White Kernel Coconut Oil.